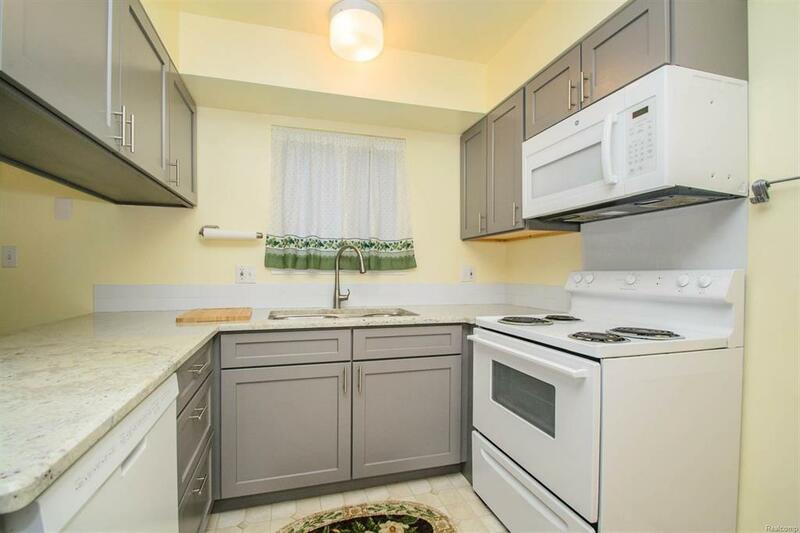 Located on a quiet court in Colonial Square, this nicely updated two-bedroom townhome is crisp, clean and move-in ready! It features beautiful hardwood floors, light-filled spaces, and a time-tested floorplan. The updated kitchen has soft-close cabinets, granite and tons of storage. Upstairs are two bedrooms and an updated bath! The basement is the perfect overflow space and awaits its transformation into a family or recreation room. Out back is a private courtyard of raised flowerbeds and beautiful plantings! Easy access to highways and the bus line, too! Association fees include taxes, water, lawn care, snow removal and some interior and exterior maintenance. Proof of coop membership acceptance must be submitted with offers. New water heater.